If you are looking for a professional or specialist, advertised the position publicly might not effective. 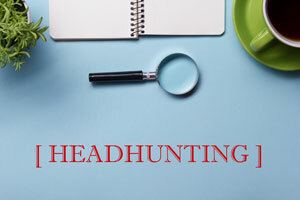 Headhunter have wider connections and higher chance to get the candidate that fulfill your requirements. They are useful when you wish to hire someone hold a position currently in other company. Headhunter will keep the whole recruitment process as confidential. If you want to assured that only few people will know you are seeking to have a particular position filled, headhunter company will be your choice. A good headhunter will be a good researcher. They able to understand the requirements you need and the culture of your company. They will identify the key individuals that really make a difference to your company. Select a best candidate for you is their main goal and achievement. A recruitment process can be complicated and spend much time especially when you are recruiting a professional or specialist. With the help of headhunter company, you able to avoid spending much time in human resource. Headhunter company will filter and select candidate even interview them before introduce to you. By collaborate with headhunter, you able to skip few steps in recruitment process and only make the final decision. If a company hires a headhunter, they are trying to find the best employee for the position available. Sometimes that perfect match is not “on the market” at the time and has a job. If the headhunter can find someone that is already succeeding with another company in the role you need to fill, it can help reduce the time and expense you need to invest in training the employee.